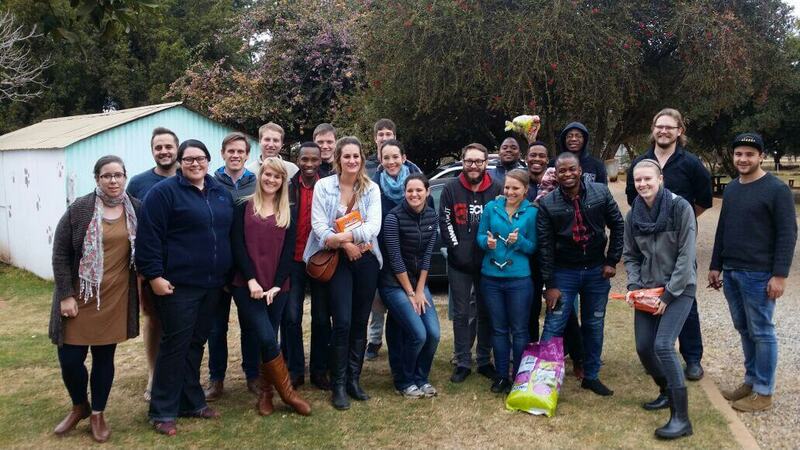 On Friday 7 July, a team from ITSI visited WetNose Animal Rescue Centre to spend the afternoon with the animals. WetNose Animal Rescue Center is a Right to Life animal shelter that rescues, rehabilitates and then re-homes abused, abandoned and neglected animals. ITSI employees got together to support this cause by making donations and providing the animals with apples, carrots, dog food and dog biscuits. They spent the afternoon feeding the horses, cows and donkeys, taking the dogs on walks and playing with the cats. If you would like to make donations or spend some time volunteering at WetNose, please visit: http://www.wetnose.org.za. A team from ITSI at the WetNose Animal Rescue Centre.